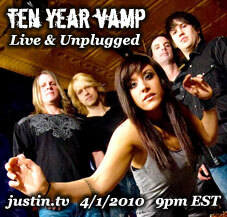 Ten Year Vamp is currently not playing regular shows. Check back here for upcoming shows. See below for all past shows. Fri Dec 21, 2012 No show... End of the world. Wed Nov 21, 2012 Bayou Cafe, Albany NY 10:30pm Thanksgiving Eve! 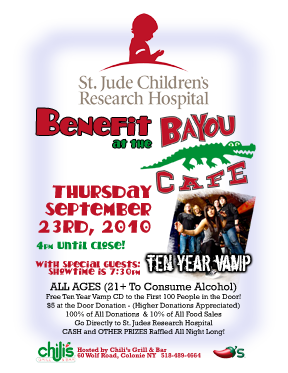 Our 8th Annual Homecoming Show at the Bayou Cafe! Sat Sept 8, 2012 Sandy's Clam Bar, Glens Falls NY 10:30pm Our 750th Show!!! Sat Sept 1, 2012 Naked Turtle, Plattsburgh, NY 10:00pm Last Naked Turtle of the Summer! Sun Aug 12, 2012 Smokin' Joe's, East Greenbush NY Benefit for Pat Tiernan's Family This event runs from 12 noon until 6pm. 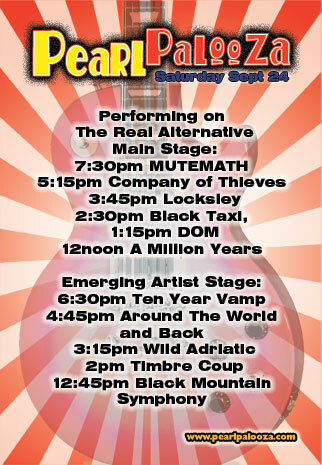 Please come out - live bands all day - we go on sometime mid-afternoon. Thur July 26, 2012 Jillian's, Albany NY 8:00pm Cancelled due to weather Pearl Street Live! After Alive @ 5 out on Pearl Street! Official Launch Party of SaratogaAlive.com! Come join us for the SaratogaAlive.com Polo Cup on Friday July 13th, 2012! Watch the match and then stay and party in the tent! 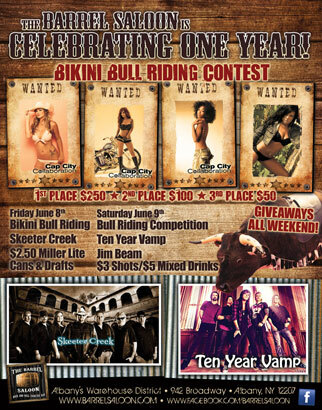 Live music by Ten Year Vamp! Red carpet photos! Hors d'oeuvres! Raffle! $5.00 off with the word "alive" all lowercase. You must pick the date of the event, July 13th, enter the passcode / coupon "alive", and select the $20 "SaratogaAlive.com Group" discounted ticket. -Bring your ID. 21+ ONLY. -Invite friends. There will be tons of parking. The bigger the better! This is the Barrel's 1 Year Anniversary Party! Thur June 7, 2012 Stout, Albany NY 7:30pm After Alive At Five! 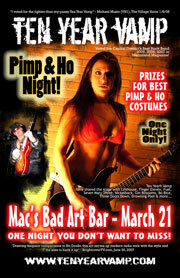 Thu Apr 12, 2012 Jillian's of Albany, Albany NY We're opening for Lez Zeppelin! Erin Harkes Starts at 1pm PARADE DAY!!! Sat Jan 28, 2012 Olive Ridley's, Plattsburgh NY 10:00pm Our 700th Show!!! 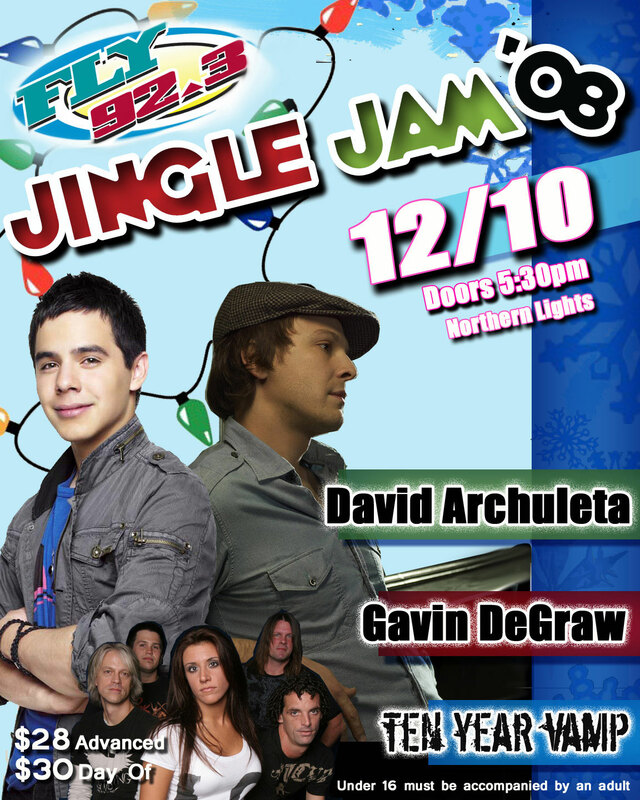 FLY 92.3's WInter Chill with Andy Grammer! Listen to FLY92 for Details on how to get tickets! This is a VIP Party only! No tickets will be sold so tune into FLY92 NOW! Thanks to FLY92.3 for a fantastic event last Saturday with Andy Grammer. Go HERE and check out some fantastic photos from the night! 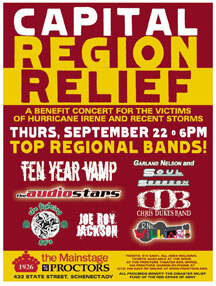 Capital Region Relief Benefit Concert - Click the link to get tickets. In the wake of the devastation caused by Hurricane Irene and the recent storms, Proctors, it’s unionized workers and numerous local organizations, media outlets and companies have joined forces with several top regional music acts to present Capital Region Relief, a benefit concert event. This event will raise funds to assist residents of all affected Capital Region communities. Proceeds will directly benefit the disaster relief fund of The American Red Cross of Northeastern New York. Best of all, Proctors, its stagehands, the participating bands -- and every person and entity involved in producing this event – are donating their services. All money raised at the Capital Region Relief concert will go to the Red Cross fund for use in the immediate Capital District area. The promoters hope to fill every single seat. Proctors arts and entertainment complex also is a proud partner in and drop-off point for Project Hope 2011/ Community Stakeholder Food & Supply, a regional food and supply drive led by a group of businesses and non-profit agencies including the United Way and the Schenectady Mission. 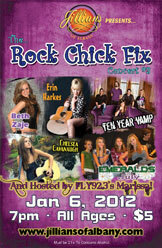 Attendees to the Capital Region Relief benefit concert are invited to bring donations for Project Hope to the concert. Acceptable items are: Non-perishable food and canned goods, laundry and dish detergent, bottled water, diapers and baby wipes, baby food, gift cards, paper towels, children’s DVDs. In order to ensure the health, safety and well-being of the recipients of donations, Project Hope cannot accept used clothing, toys or stuffed animals. The Great Escape, Lake George NY Rocktoberfest! 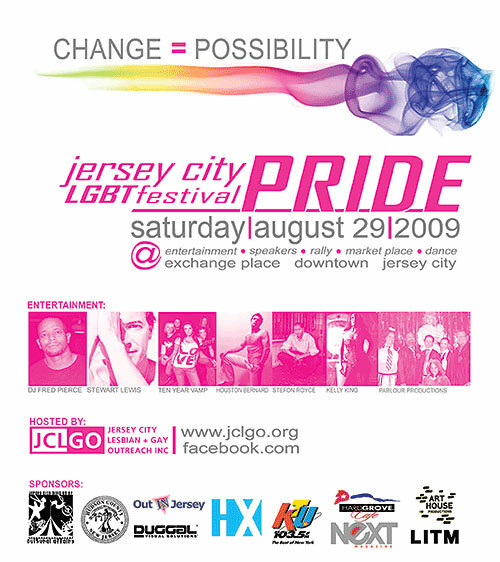 Click the poster on the right to see the larger version. Time: 7:30pm We Open For Fuel !! 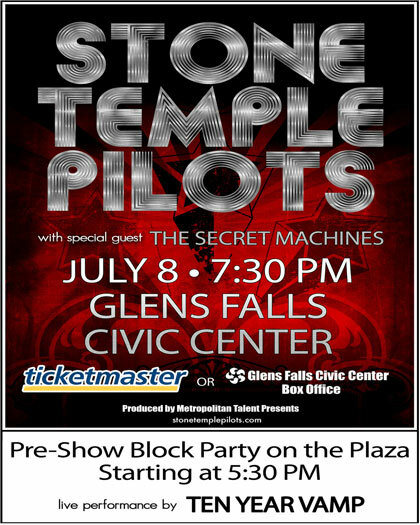 Wed Aug 17, 2011 EMPIRE STATE PLAZA, Albany NY We're opening for Eddie Money! Sat Aug 6, 2011 Farmfest! Fri Aug 5, 2011 Dutch Apple Cruise, Albany NY Boat Cruise on the Hudson! Tues June 21, 2011 Arlene's Grocery, New York, NY 8:00pm No Cover... Free CDs! Our New Album Preview Show! 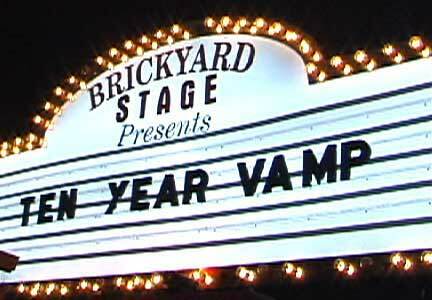 Followed by a Ten Year Vamp "cover band" show at 12:30am full of dance and party songs! Our 7th Annual Homecoming Show! Sat Nov 13, 2010 Imperial Lanes, Amsterdam NY 10:00pm Our 600th Show!!!! It's 102.7 WEQX's 26th Birthday Show! We'll have a short acoustic set before heading to Imperial Lanes in Amsterdam for a full show. Fri Nov 12, 2010 VAPOR, Saratoga NY 9:00pm, No Cover! 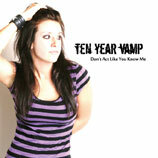 Free Ten Year Vamp CD to the first 100 people making a donation! Activities and specials will be held from 12:00 - 5:00PM in the Fest Area. The After After Party of the Saratoga Wine & Food and Fall Ferrari Festival FREE ADMISSION to this show and a FREE Ten Year vamp promo CD (while supplies last) with your ticket stub from the Saratoga Wine & Food and Fall Ferrari Festival's Grand Tasting or After Party Aperitivo presented by Ketel One. Visit www.spac.org for tickets and Festival info. Every 1st & 3rd Thursday of the Summer! Fri Aug 6, 2010 VAPOR, Saratoga NY 9pm Start Time - No Cover! Lake George NY Show cancelled due to rain forcast. w/ Big Bad VooDoo Daddy Click HERE for photos from the Stamford Advocate by Andrew Sullivan. 10:00pm 4th of July Party! Sat June 12, 2010 Dutch Apple Cruise, Albany NY Boat Cruise on the Hudson - Our only boat cruise of the Summer! Reserve your spot on the Party Bus on our Merchandise page. The bus will leave the Macy's Overflow lot at Crossgates Mall in Albany at 3pm SHARP and return around 1am. Please get there 15 minutes early! Space is very limited so please reserve your spot now. BATTLE OF THE BANDS FINALS!!! ONE BOSTON BAND WILL GET ITS CHANCE TO WIN A TRIP TO HARD ROCK CALLING IN LONDON'S HYDE PARK. Come watch as local artists battle for a spot to share the famous Hyde Park, London stage with the legendary Sir Paul McCartney , Pearl Jam, Ben Harper & Relentless7, The Gaslight Anthem, The Hives, and many more. Fri April 2, 2010 VAPOR, Saratoga NY 9pm Start Time - No Cover! This is a HUGE show for us and we need your support! $20 cover the bus trip there and back, and your ticket into the club. The bus will leave the old Sam's Club parking lot at Crossgates Commons in Albany (Behind Walmart) at 6pm sharp - please don't be late. You must be 21+ to get on the bus and into the club. The bus is expected to return by 2:30am. We play an original show at 10:30pm and after us we'll get to see one of NYC's best cover bands, Green Machine. 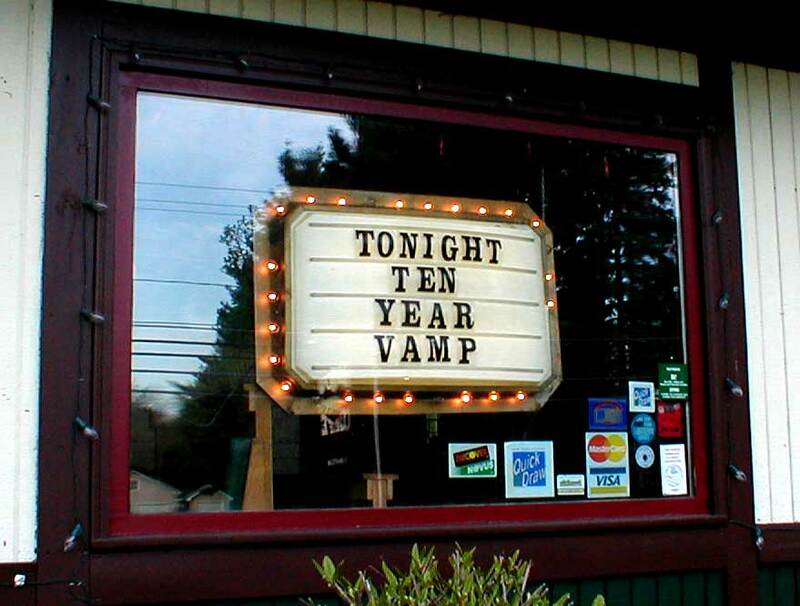 Ten Year Vamp 10:00 - ?? Sat Dec 19, 2009 Black Bear Saloon, Hartford CT Show cancelled due to expected snow storm. Show starts at 7:45pm EST - Right on their home page! The Turkeys, Switchblade Suicide, and Chase Haven are opening up for us! Wed Nov 25, 2009 Bayou Cafe, Albany NY Thanksgiving Eve & our 6th Annual Homecoming Show at the Bayou. 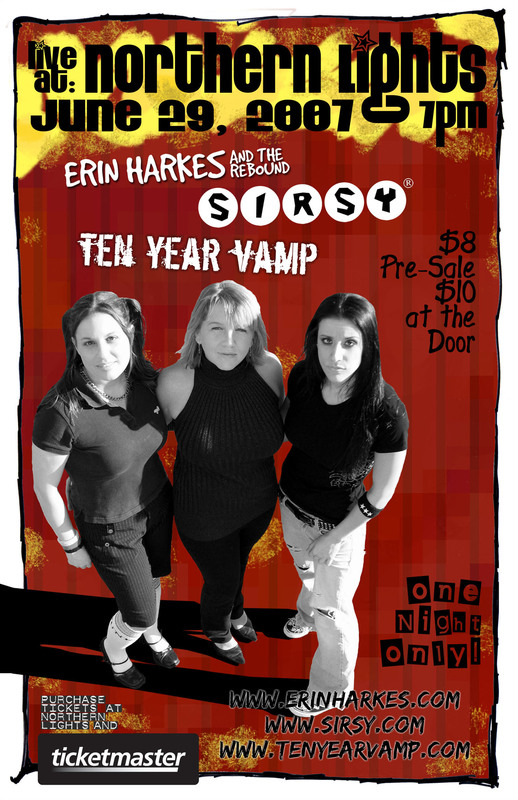 This is the one show to never miss... get there early, 8pm and wear a Ten Year Vamp t-shirt and we're buying the beer! Our 500th Show! FLY 92's Twilight Blood Lust Ball !!! 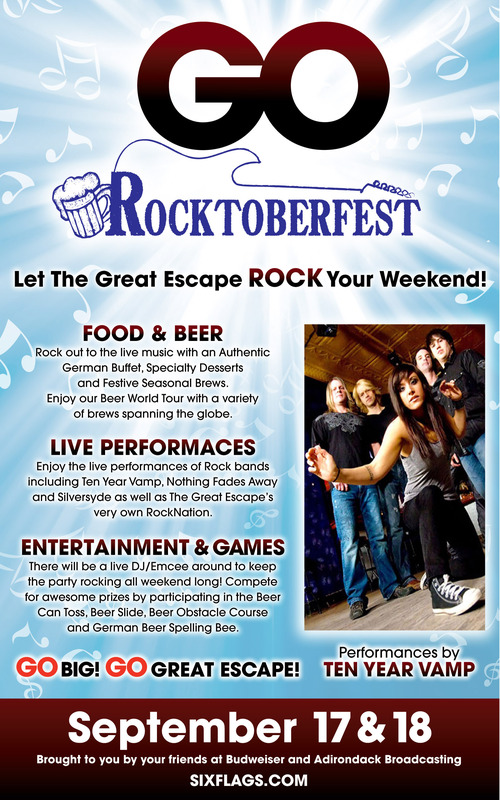 Come dressed up as a Vampire and win prizes.... Listen to FLY 92 for details. Fri Nov 6, 2009 VAPOR, Saratoga NY 9pm - No Cover! 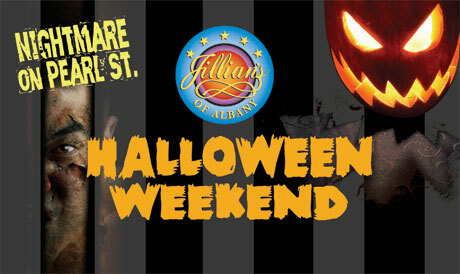 Sat Oct 31, 2009 Jillian's, Albany NY Halloween Night! Thanks for the photo Al! Click to print a Flier! BUS TRIP - Our first bus trip in over a year! Get your tickets from the merchandise page on our website to reserve your spot. There is limited room on this bus with the band. There are only 10 seats left so PLEASE get your seat now if you want to go! The bus will LEAVE Crossgates Commons at 4pm SHARP. Please arrive around 3:30 so we can check everyone in and leave on time. The bus will pick us up at the BACK of Crossgates Commons where Sam's Club used to be. If for some reason you cannot go, please get someone else to use your ticket. We need a full bus-load of support for this show! In 2006 and 2007, we were finalists in the huge NYC Showcase & Battle of the Bands. This year, we've been asked to headline as a Special Guest. We need your support as the music industry comes out to see 10YV showcase their new album! 2 SHOWS! Washington Armory, Albany NY We're playing Opening Day of the Albany All Stars Roller Derby Season! We start at 6pm and play through-out the night. It should be a wild night - stop by after Larkfest! Our First Ever Boat Cruise! ...and could be our last :) so don't miss it! This show will go on to Midnightand starts with the Hot Air Balloons starting sometime around 6 or 7 am! A HUGE all day event! CD Release Party! 9pm - Track Season! This is it... the show we've been waiting years for... our first full-length studio album CD Release show! Get your CDs tonight! Thu July 30, 2009 McGeary's, Albany NY After Alive At 5... Under the BIG TENT outside - starting at 9pm! Jillian's, Albany NY Pearl Street will be shut down and we'll be playing on the stage in the street... starting sometime around 8pm - One of the funnest nights of the summer, don't miss it! Times Union Center, Albany NY 5:30pm Click HERE to see some great shots from Gary at NLP Photography! This is a "reVAMPED" show... Debbie can't make this one, so we're gonna do a show without her... a few of the same songs but also a lot of new ones - Just the 10YV guys with maybe a few special guests. You'll be sorry if you miss this one! Sat May 16, 2009 2 SHOWS TODAY! 11:30am Click HERE to see some great shots from Gary at NLP Photography! 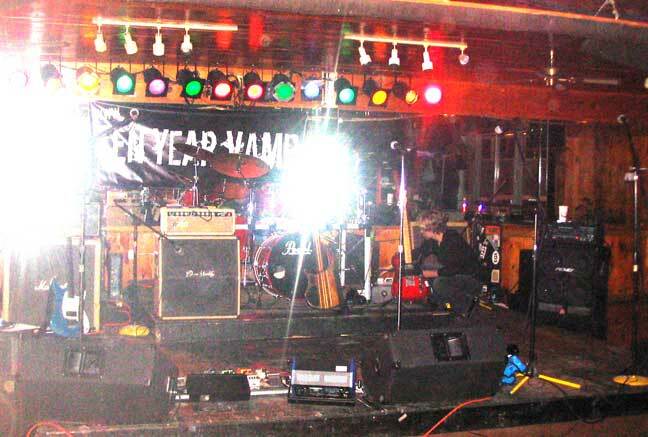 Fri April 10, 2009 Sandy's Clam Bar, Glens Falls NY 10pm Our 450th Show! Thur Feb 5, 2009 Jillian's, Albany NY Jillian's 2 Year Anniversary Party! We start at 8pm sharp !!! Wed Dec 31, 2008 Bayou Cafe, Albany NY New Year's Eve at the Bayou Cafe! Thur Dec 18, 2008 The Pickle Barrel, Killington VT 9:30pm Our First Show At The Pickle Barrel! Our 5th Annual Homecoming Show! The one show of the year that EVERYONE comes to - come out to see old friends. 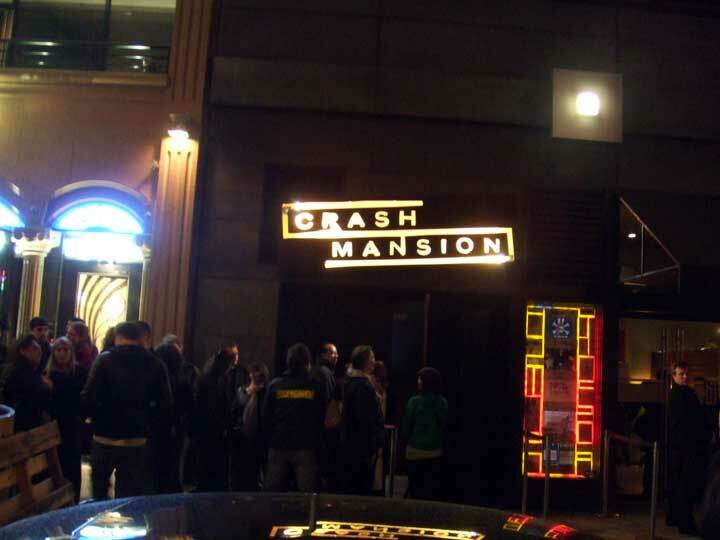 Just make sure to come EARLY or you'll be stuck waiting in line... always a night we never forget. Get there early and wear a 10YV t-shirt and drink for free from our Keg... the beer is on us while it lasts. Fri Nov 21, 2008 Last Resort, Schenectady, NY 10pm This show only... 2 Drummers! 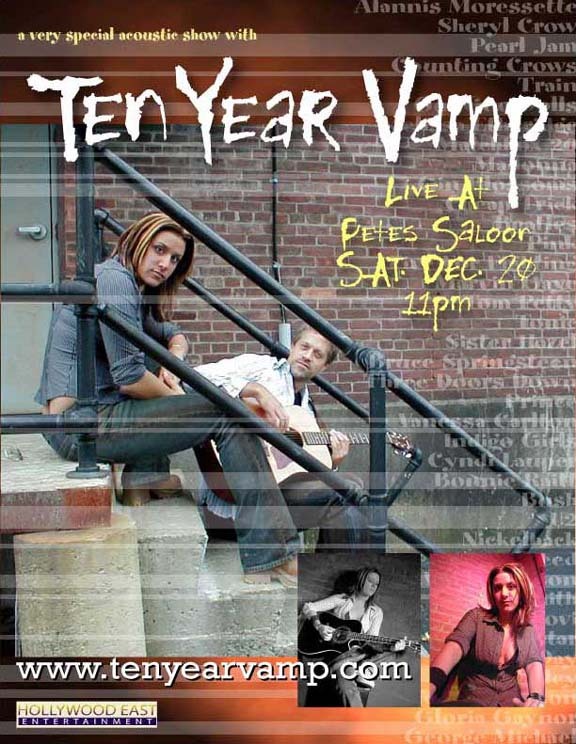 Sat Nov 8, 2008 VAPOR, Saratoga NY 10pm Multi-Camera Video Shoot this show! 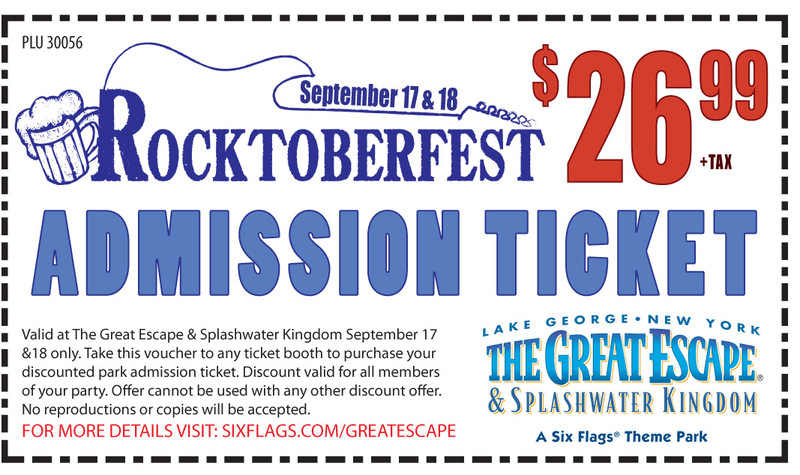 Halloween Bash BOTH Friday and Saturday nights! Don't miss either night! Check our Video page for footage from last year's party! This is going to be a CRAZY night. We start off with a set at Jillian's of Albany... then during out set break, we're headed to The Pearl to perform a power-house set for FLY92 and their ROCKSTAR V.I.P. Party! CLICK HERE to listen to the promo. 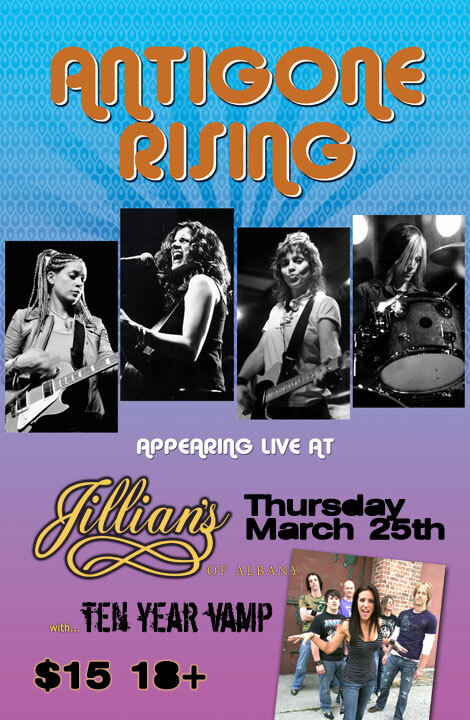 Then after that, we head back to Jillian's to finish up the night! It's gonna be wild so don't miss a second! Sat Sept 13, 2008 Black Bear Saloon, Hartford CT Back in Hartford after many many months! Thur Aug 14, 2008 Bayou Cafe, Albany NY 8pm - After the LAST Alive At Five of the year! Our 400th Show! Fri July 25, 2008 Times Union Center, Albany NY Albany Conquest Block Party! They're closing down Pearl Street so come see the show before the Conquest Game! Get your tickets now before they're sold out! We go on soon after 11am, so get there early! Sat June 7, 2008 Jillian's, Albany NY 2 SHOWS TODAY! Sat June 7, 2008 Times Union Center, Albany NY Albany Conquest Block Party! Fri May 23, 2008 Times Union Center, Albany NY Albany Conquest Block Party! The return of Dom's in the Dark! All night with the Lights OUT!!! 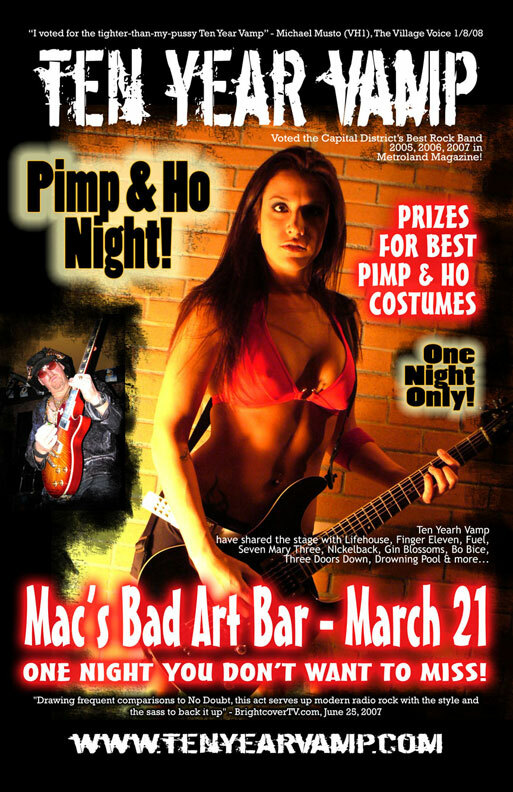 Fri March 21, 2008 Mac’s Bad Art Bar, Mattydale NY The Pimp & Ho Show! Details & Hotel info coming soon! We go on after the parade at 3pm and then another show that night at 10pm! 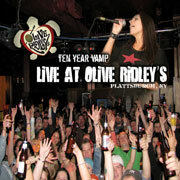 Sat March 1, 2008 Olive Ridley's, Plattsburgh, NY 10pm LIVE RECORDING FOR CD RELEASE ! 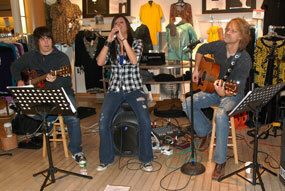 Fri Feb 29, 2008 Olive Ridley's, Plattsburgh, NY 10pm LIVE RECORDING FOR CD RELEASE ! 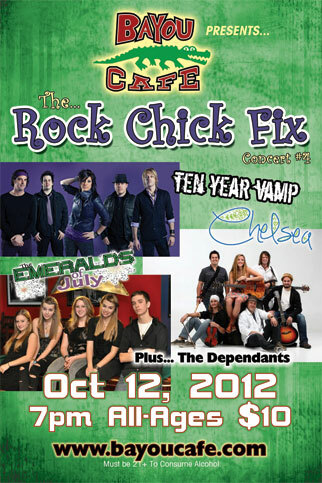 We're opening for the Cliks! Come check these guys out! Special 2 set early show - lots of give-aways! BUt usually we have last minute cancelations... if you want to get on the reserve list, email us at info@tenyearvamp.com to reserve a spot. The bus will leave Albany around 2:30pm Saturday Feb 2nd from the Crossgates Commons parking lot in the back where Sam's Club used to be. CLICK HERE TO PURCHASE TICKETS TO GET ON THE BUS TO THIS SHOW! Departure time from Albany is 4pm. Watch this space for more details. Get your tickets now, this trip will sell out. Our most important show to date! We need your support! We've rented a mini party bus to get to this show and want you to come with us! We'll even pay your cover charge and give you an exclusive t-shirt! Watch this space for details and EMAIL us if you want to go! 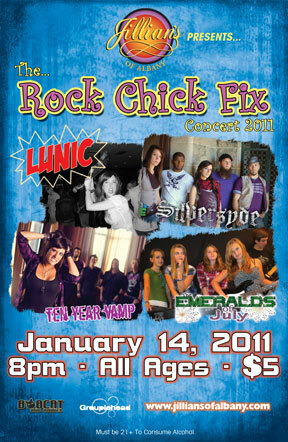 UPDATE: With such a huge show at the coolest Rock Club on Staten Island, we need to leave early! The bus will leave at 11:45pm. We will leave from the Macy's overflow parking lot at Crossgates Mall. We realize this is a Thursday and most of you would have to take the day off to make this trip... we very much appreciate any of you who can make it. It will be a great day and we get to play with our friends from Hollywood Hangover and Vertigo. We'd really love to make it to round 3 - please come with us if you can! 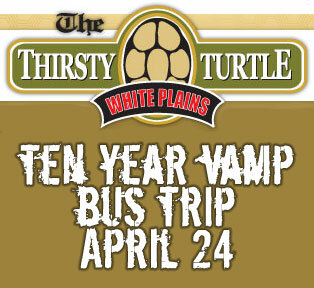 Show up early wearing Ten Year Vamp merch and the band will buy your beer while the kegs last! Thanks to everyone who came on the bus. We did it... and we move on to round 2! Watch the website for details to get on the bus for the next round! Sat Oct 20, 2007 Hennessey's, Boston, MA 10pm Tonight's show is cancelled due to the baseball game. We will be back to Boston very soon... watch our schedule. And just like last year, the only way to make it to the finals is with the most votes, so we need your help! Spread the word... tell your friends! This is the show of the year! With so many National Acts, we'll be going on pretty early... don't miss a minute of this... the EDGE knows how to throw a party! 1st right on to Thayer Rd. Look for the big tents in the fields on the right hand side. Fri July 20, 2007 The Caboose, Gloversville, NY 10pm Outdoor Block Party! Wed July 4, 2007 Empire State Plaza, Albany NY 3pm Albany's Big 4th of July Party at the Empire State Plaza. Thanks to Price Chopper for the invitation! We kick off the party at 3pm...we're followed by Captain Squeeze, Melvin Sparks (from the Price Chopper commercials), and The Spin Doctors! OR get them from Ten Year Vamp HERE ONLINE! CLICK for your own poster! Fri June 15, 2007 Times Union Center, Albany NY 5pm OUTSIDE BLOCK PARTY! 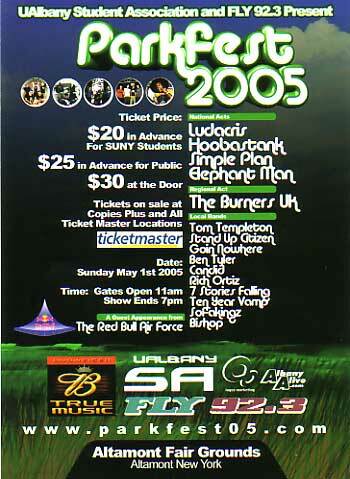 Sat June 2, 2007 Times Union Center, Albany NY 5pm OUTSIDE BLOCK PARTY! 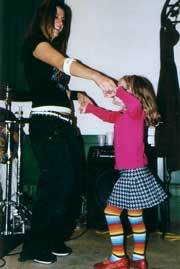 Sat May 19, 2007 Imperial Lanes, Amsterdam, NY Rock & Bowl !!! Velmas are 8:30 to 9:15. 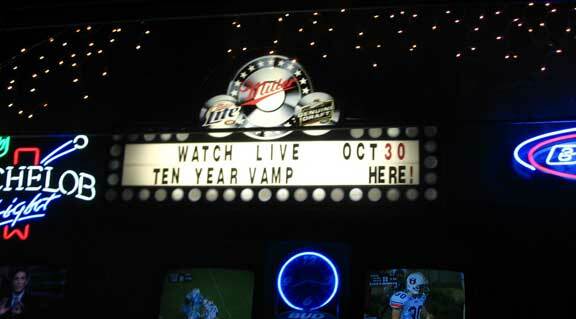 Ten Year Vamp is 9:30 to 10:15. Tickets are $5 to just see the bands. 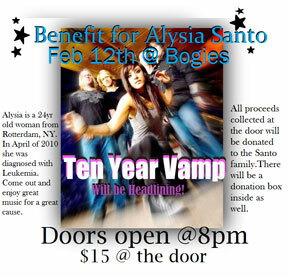 $20 to see the bands AND bowl as much as you want between 10:15 and 12:30. Fri Apr 27, 2007 The Caboose, Gloversville, NY 10pm Tim is sick and Chad steps in to play for him so the show can go on! Sun Apr 15, 2007 104.9 The Edge. 10pm Our new single opens the show at 10pm! The "Road Crew" bus will be leaving the MACY'S OVERFLOW parking lot at Crosssgates Mall at 5:00pm sharp. Please arrive between 4:30 and 4:45. Our expected return time is 2am. The "Road Crew" bus will be leaving the MACY'S OVERFLOW parking lot at Crosssgates Mall at 3:00pm sharp. Please arrive between 2:30 and 2:45. Our expected return time is 11pm. Sat Mar 24, 2007 Jillian's, Albany, NY - 8am Kegs & Bacon Party at 8am! 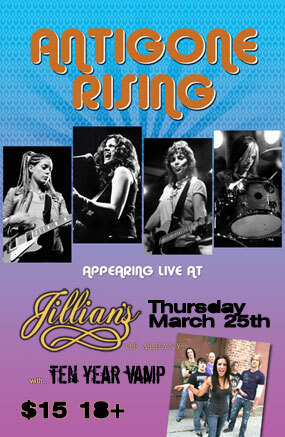 St. Patrick's Day Show at the all-new Jillian's!!! Fri Mar 16, 2007 Murphy & Scarletti's, Farmington CT 10pm Cancelled due to snowstorm. The bus will leave overflow parking lot at Crossgate Mall (NOT SAM"S CLUB) behind Macy's. 5pm - don't be late or we have to leave without you. A High Energy Shot of Ten Year Vamp. Sun Dec 31, 2006 Jillian's, Albany, NY 10pm New Year's Eve Bash at Jillians! Our first New Years Eve at home! 11:45 - SPECIAL GUEST LONGWAVE!! Our buses to the show are full. Contact us if you need a spare ticket... we have a few left. This show is SOLD OUT, but supposedly there will be tickets available at the door. Sat Dec 23, 2006 Bayou Cafe, Albany, NY 10pm Xmas Party at the Bayou! Wed Nov 22, 2006 Bayou Cafe, Albany, NY 10pm Thanksgiving Eve! Sat Oct 28, 2006 Bayou Cafe, Albany, NY 10pm HALLOWEEN PARTY !!! 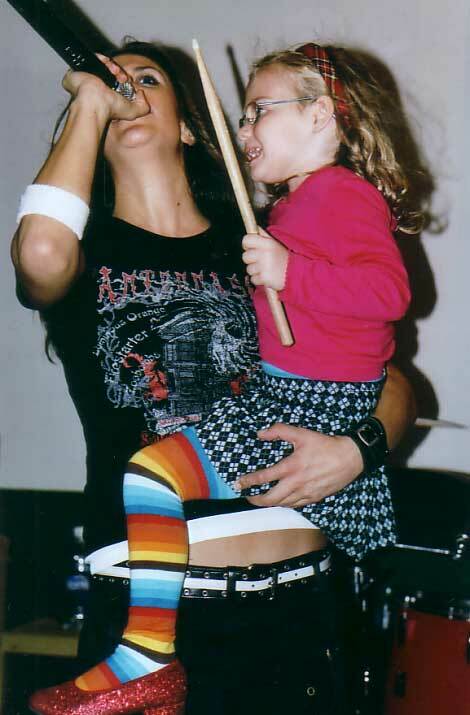 Sat Oct 14, 2006 Jillian's, Albany, NY 10pm CD RELEASE SHOW! 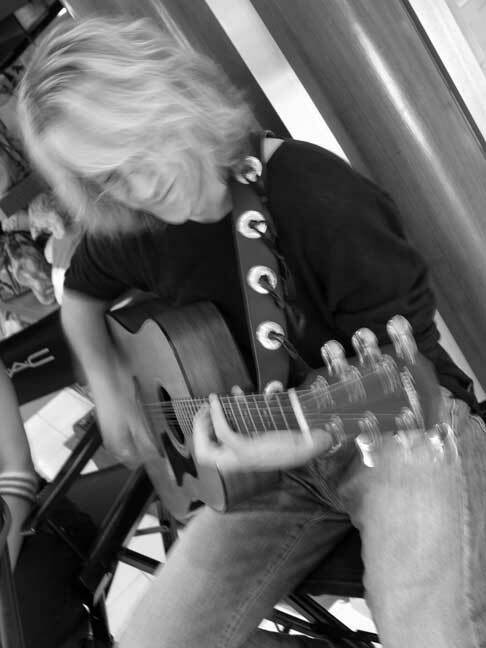 Fri Oct 13, 2006 Dominick's Sand Bar, Mayfield, NY 10pm CD RELEASE SHOW! 313 Bowery, NYC, 6pm Showtime! This will be our biggest and most important show to date! One of NYC's largest Rock Music Festivals and Showcases. Yes, it is another Battle of the Bands! 14 bands in one night at a great NYC rock club! We'll all be using the same equipment so there no waiting time between bands! ps... we are 1 of six finalists! 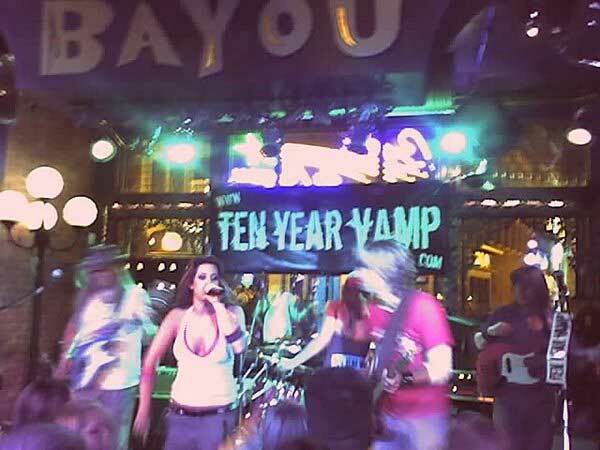 Sat Aug 19, 2006 Bayou Cafe, Albany, NY 10pm TEN YEAR VAMP'S 1st SUMMER PARTY!!! Fri Aug 4, 2006 Daniels Street, Milford, CT 10pm Cancelled due to family issues... we are trying to reschedule. Thur July 27, 2006 Jillian's, Albany, NY Outside after Alive at Five !! 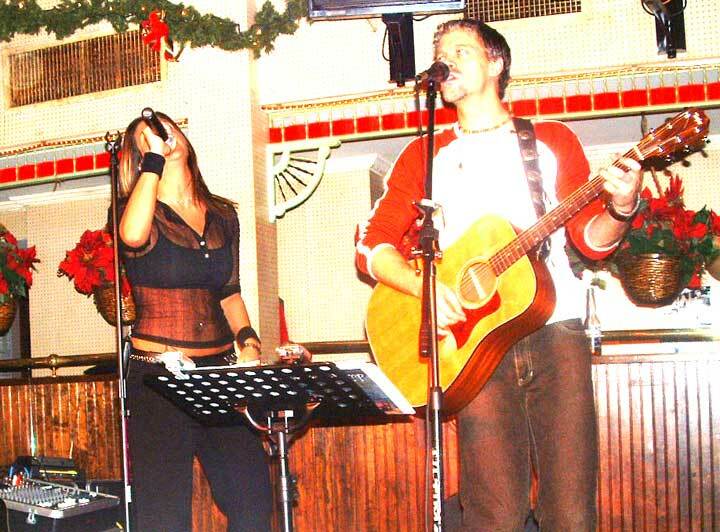 Sat July 22, 2006 JJ's Sports Bar, Northboro, MA Our 200th Show! Thur July 13, 2006 Bayou Cafe, Albany, NY 9pm After Alive at Five !! 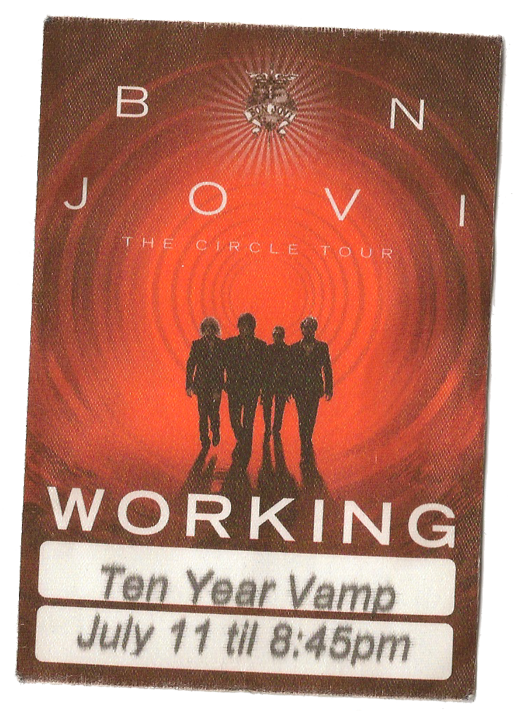 Wed July 12, 2006 WRPI 91.5, 8pm Live full band show broadcast live from the WRPI studios! Listen to FLY 92.3 for details. Scottie's 1 year Anniversary show with the band! Sun June 25, 2006 Harbor Park, Middletown, CT 8pm Cancelled due to rain. Time: 2pm (Afternoon) For the second year in a row, Debbie is asked to model and perform for MAC Cosmetic's big event held at Macy's in Colonie Center. This will be a Debbie/Mark acoustic duo performance. Fri June 16, 2006 Dominick's Sand Bar, Mayfield, NY 10pm Fred & Mikes Birthday Bash! Thur June 8, 2006 Jillian's, Albany, NY After Alive at Five !! South Boston, 9:30pm Shenannigan's Tenth Anniversary Party! 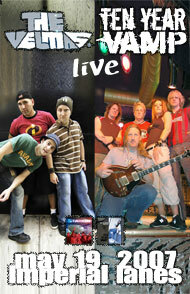 Thur June 1, 2006 Bayou Cafe, Albany, NY 9pm After Alive at Five !! We Won!!! And move on to the finals July 1st! We'll be playing around 7 during the dinner afterwards. Ok... so it's a long story, but due to unfortunate changes made to our agreement by the event planners, we're declining the offer to perform at this show. We apologize to everyone who was planning on going. 3:30 - 4:30pm Albany River Rats Block Party! 3:30pm Sharp! Thu Apr 13, 2006 La Cocina, Pittsfield, MA First Time at this cool venue! Thanks for everyone who rode the bus with us down to the show! We had a complete blast even though the bus broke down at 3am! We're excited to have been declared the winners of the night and moving on to round 2 May 27th! Sat Mar 18, 2006 Valenti's, Troy, NY 10pm Hangover Party! Fri Mar 17, 2006 2 SHOWS! St. Pat's Day Party with Clear Channel 103.1 from 6am to 10am. This will be crqzy. Then we go home to sleep it off before the big bash at the Bayou in Albany that night.... you better believe these are 2 shows not to be missed! EQX-Posure LIVE with 102.7 WEQX - Original Show! Fri Jan 27, 2006 Last Resort, Schenectady, NY 10pm Well it's not really in Schenectady... Actually the stage, tables and dance floor are in Schenectady, but the bar, big screen TV and pool table are in Rotterdam. 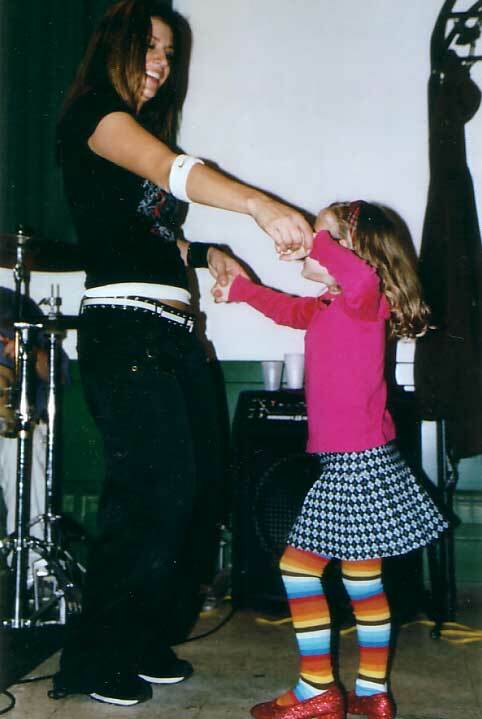 Sat Jan 14, 2006 Cheer's, Colonie, NY 10pm Jenn's Big Birthday Show! 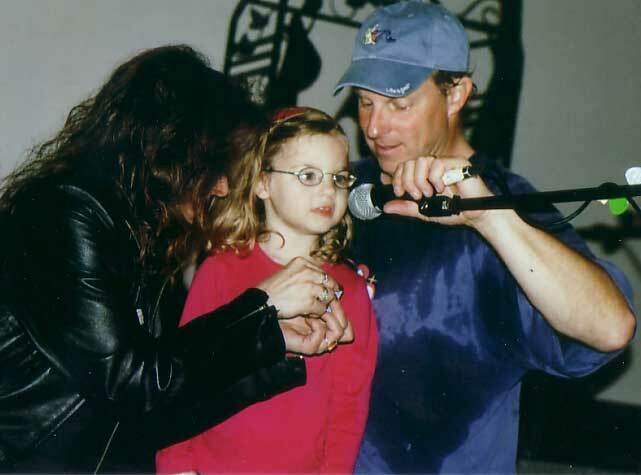 Sun Jan 7, 2006 Clear Channel 103.1 WHRL, 8pm Listen for a 15 minute radio interview with Debbie & Mark. Fri Jan 6, 2006 Sandy's Clam Bar, Glens Falls, NY 10pm Our first time at Sandy's! Sat Dec 31, 2005 Charaktor's, Ludlow, VT 10pm Our 2nd Annual New Year's Eve Bash at Charaktor's!!! Fri Dec 23, 2005 Bayou Cafe, Albany, NY 10pm Special Holiday Show! 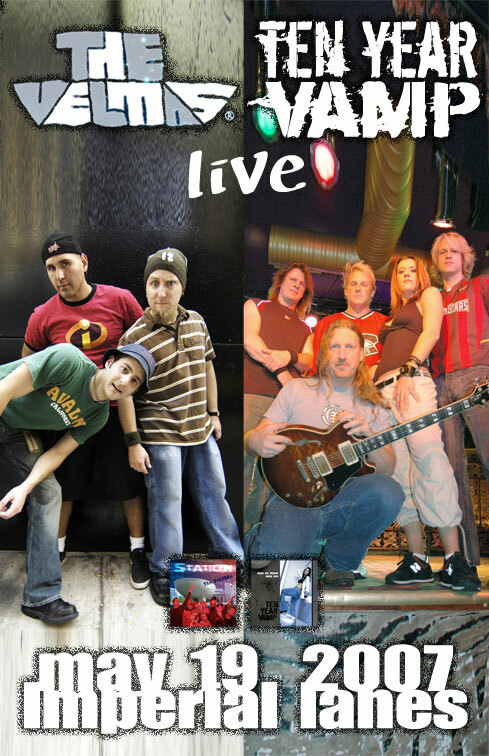 Fri Dec 9, 2005 Good Times, Hudson Falls, NY 10PM Cancelled - This club cancelled all bands. Sat Nov 26, 2005 Charaktor's, Ludlow, VT, 10PM Cancelled - The club wasn't ready to open for the season yet. This place will be packed! Get there early! Sat Nov 19, 2005 Dominick's Sand Bar, Sacandaga Lake, NY 10pm With fill-n guest drummer, Don... Scott plans on coming by to sit in on a few tunes! 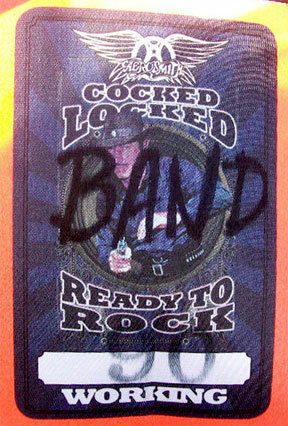 Fri Nov 11, 2005 Last Resort, Schenectady, NY 10pm With fill-n guest drummer, Don... Scott makes a 7 song appearance! Bridgeport, CT Cancelled - Scott has emergency heart surgery! Sat Oct 29, 2005 Peabody's, Saratoga, NY 9pm Peabody's was nice enough to give us a show last minute. Come dressed up - We played at Peabody's for Halloween last year and it was a blast! Sat Oct 29, 2005 Christopher's, Ludlow, VT 10pm SHOW CANCELLED !!! 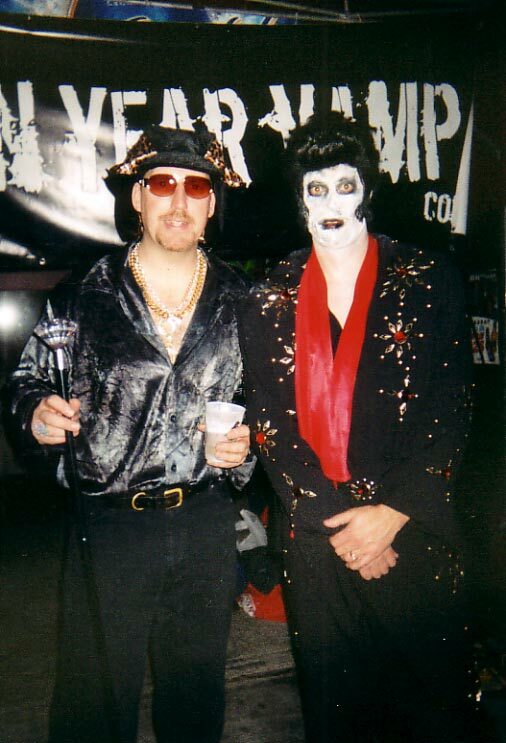 Fri Oct 28, 2005 Dominick's Sand Bar, Sacandaga Lake, NY 10pm Pre-Halloween Bash! As always, we're holding the "Dress up as Debbie" contest! (AOH, 375 Ontario Street) Benefit Concert for Kristine Choma who lost her home to toxic mold. Unfortunately there was a scheduling problem and we were schduled for a time slot we were unable to play. Fri Aug 12, 2005 33 Degrees, Albany, NY 10pm New Albany Club on Broadway where Doc McCutchon's used to be. 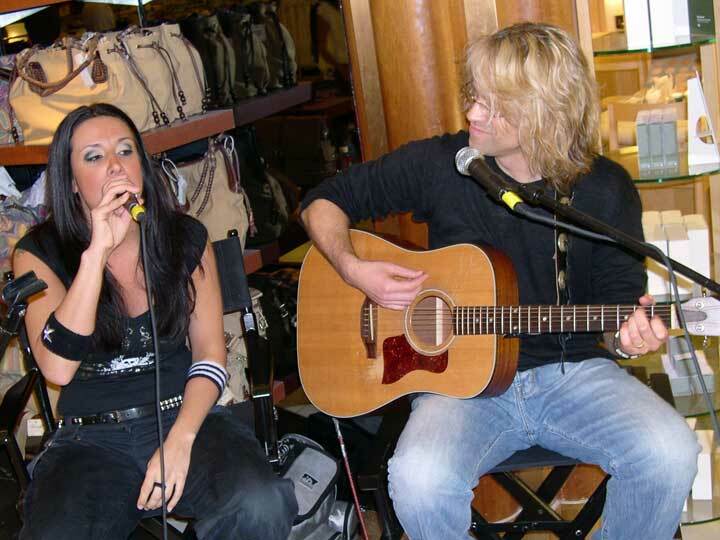 Sat July 30, 2005 Macy's Cosmetics, Colonie Center, Colonie, NY 2pm Special Acoustic Show for MAC Cosmetics and their release of the "Rockstar" line of products. 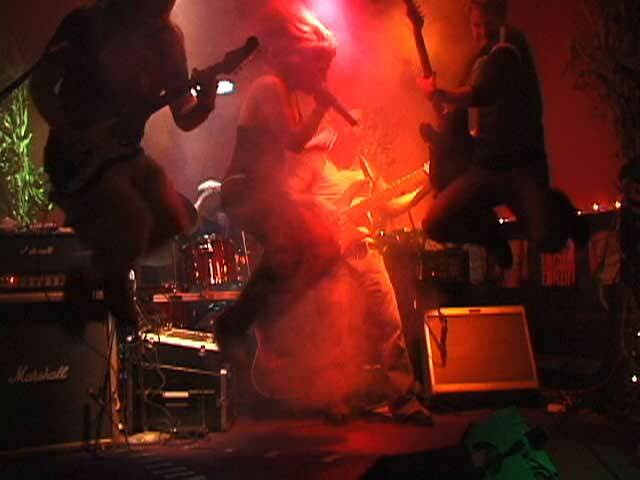 Fri July 29, 2005 Bayou Cafe, Albany, NY 10pm SPECIAL: Shooting Video for our next DVD & Promo !! Fri July 29, 2005 FLY92 Block Party, Pepsi Arena 5pm Outside the Pepsi Arena on Pearl Street before the Three Doors Down / Staind concert! Sat July 23, 2005 Gully's, Newburgh, NY Show Cancelled due to lack of bass player. Sat July 9, 2005 Catskill Point Inn, Catskill, NY Show Cancelled due to lack of bass player. Craig's Last Show Our 100th Show! Fri June 17, 2005 Dominick's Sand Bar, Sacandaga Lake, NY 10pm Fred's Birthday! 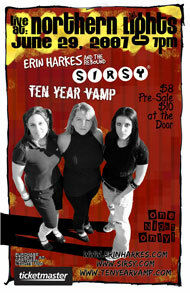 Sat June 11, 2005 Harp at the Garden, Boston, MA 10pm Our first show in Boston! Fri May 27, 2005 Bayou Cafe, Albany, NY 10pm Check out shots at Albany Alive HERE! Sat May 21, 2005 Dominick's Sand Bar, Sacandaga Lake, NY 10pm PHOTO Scrapbook! 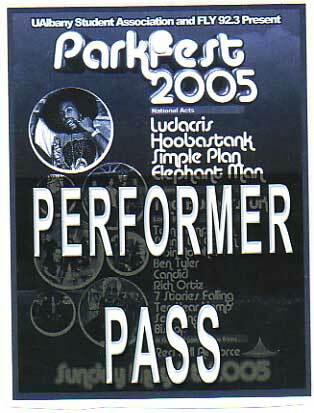 Hoobastank, Simple Plan, Elephant Man, & Ludacris! Out of 47 bands, we were 1 of the 9 bands selected for this show! 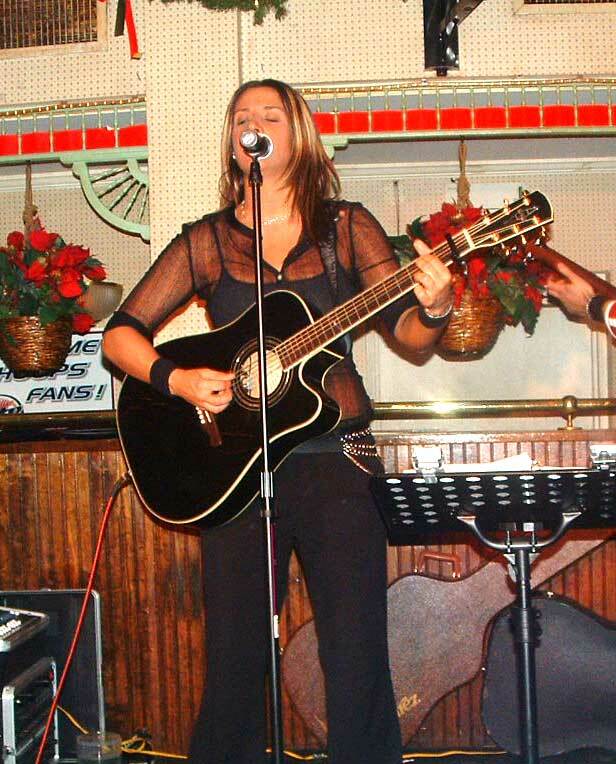 Thur Feb 3, 2005 Cheer's, Colonie, NY 10pm Open Mic Night Performance! Sat Jan 22, 2005 Cheer's, Colonie, NY 10pm Cancelled due to the Blizzard !! 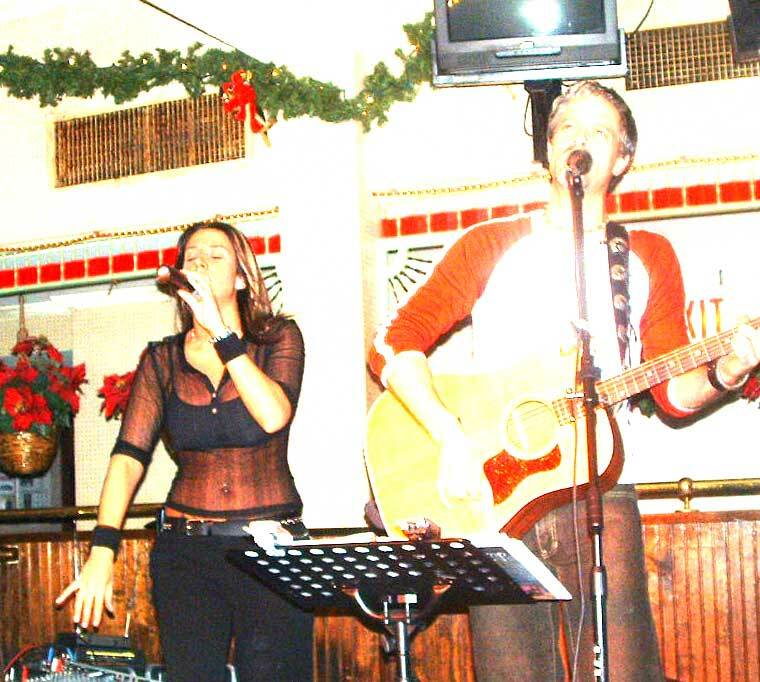 Sat Dec 4, 2004 Fennell's Finishline, Pearl River, NYC 10pm Debbie's 1st Hometown Show! 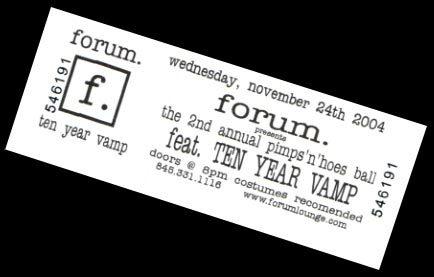 Wed Nov 24, 2004 Forum, Kingston, NY 10pm 2nd Annual Pimp & Hoe Costume Ball! Click HERE for a poster! Sat Oct 30, 2004 Peabody's, Saratoga, NY 9pm Big Halloween Bash! Oct 22, 2004 Bayou Cafe, Albany, NY 10pm Basement boiler almost dies which would have shut down 2nd 10YV show at the Bayou in 2 weeks! 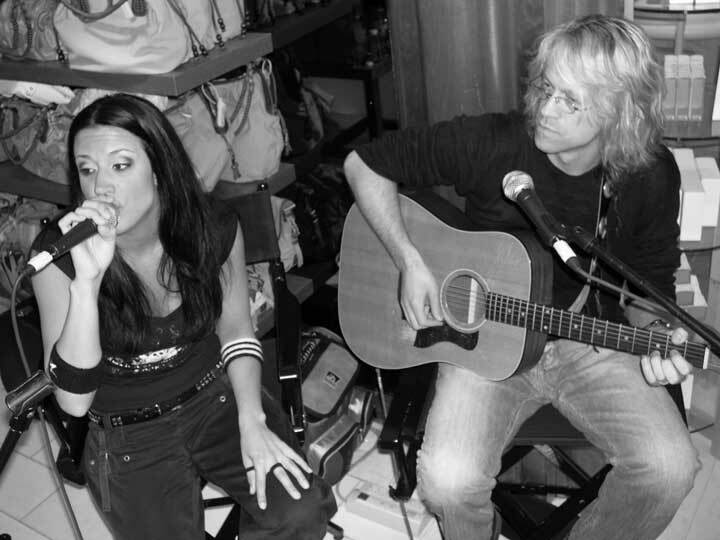 Oct 21, 2004 Bayou Cafe, Glenville, NY 8pm Last Acoustic Duo Show! Our 50th Show! 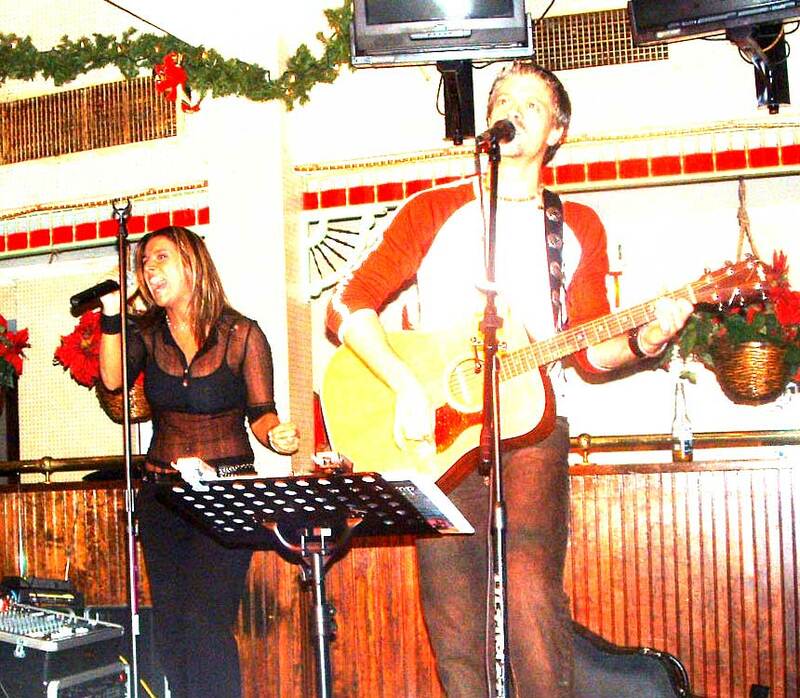 Oct 15, 2004 Bayou Cafe, Albany, NY 10pm Water main to the club blew up middle of first set. Shut Down after the 1st set. Power transformer blew-up 3 seconds after our last song ended. w/Special Guest Jeff from Pure Dirt! w/ our future lead guitar player, Pete Vroman! w/Surprise Guest Pete Vroman on Guitar!